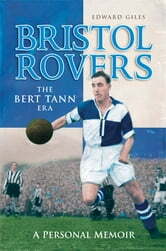 This is the story of one of the most eventful and successful periods in Bristol Rovers' long history. The Bert Tann Era began early in 1948, when the former Charlton Athletic reserve, the son of a ship's painter, joined the club as chief coach, and lasted until the summer of 1972, when he died in office as general manager and secretary. From January 1950 to April 1968, Tann was the team manager. With a side born out of a No Buy, No Sell policy, he piloted Rovers to their first FA Cup quarter-final, promotion from the Old Third Division South, and then to the brink of the Football League's top flight. Some of the Rovers' greatest players parade through these pages - Geoff Bradford, Ray Warren, Harry Bamford, Geoff Fox, Jackie Pitt, George Petherbridge, Vic Lambden, Alfie Biggs, Harold Jarman, Bobby Jones, Ray Mabbutt. Read too of huge crowds clamouring for Cup tickets, the car crash that ended the career of an orange-loving goalkeeper, a bribery scandal that lifted the lid off a betting syndicate, the 'blackleg' in a strike threat, and the epic giant-killing of the coming League champions. Edward Giles tells this dramatic tale in close-up - he was on the sports staff of the Bristol Evening Post for most of the Tann era.